Cordillera - Students in Luba Central School, Abra displayed creativity by using coconut husk as headgear during a nationwide simultaneous earthquake drill on October 5, 2018. 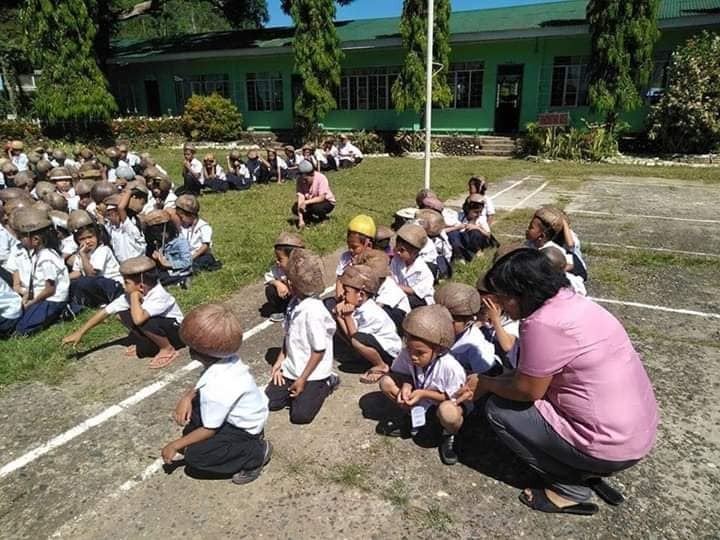 Instead of the usual things most students used to cover their heads during drills like bags or books, students in Luba used coconuts. According to Division Disaster Risk Reduction and Management Coordinator Jun Florencio Rifareal Jr. he introduced the use of indigenous material as a protective gear as part of the Emergency Equipment Project of the Department of Education. 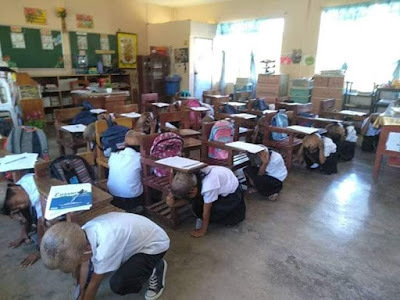 Coconuts are renowned for their hard shells, which is a characteristics that could help protect the head against falling materials during an earthquake event. 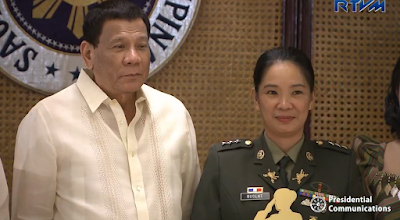 Scientists and construction engineers are now studying the use of coconut materials in designing buildings that can withstand earthquakes and other natural calamities. 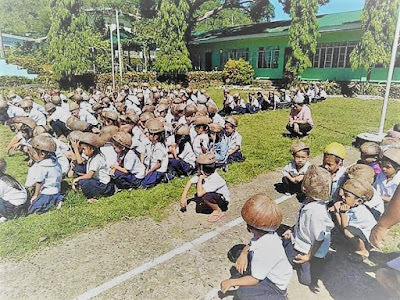 Knowing this coconut protective quality, the school principal collaborated with the parents of the students to produce this environment-friendly headgear which is capable of protecting the most vital part of the body, the head during disasters, according to abra.gov.ph. 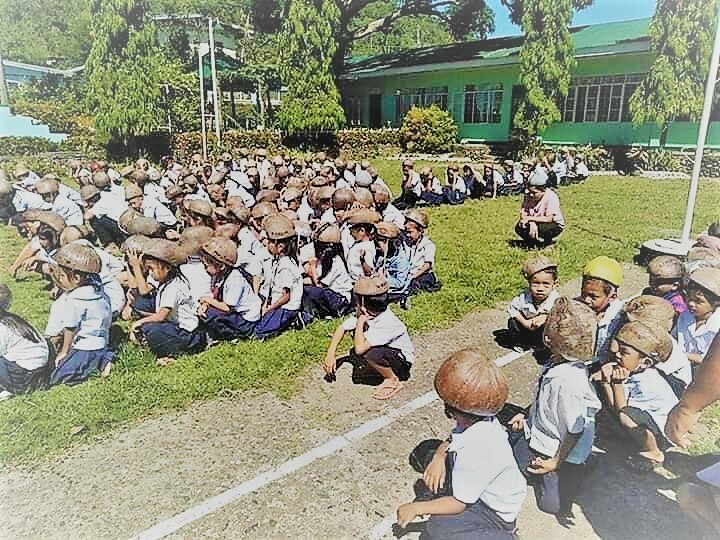 Each student is now required to bring their own coconut headgear to be placed at the School DRRM Center or under their desk.